Fall i.e autumn in East and Mid-West of the U.S is the most enjoyable time. Tourists / visitors get a chance to see the summer's lush green trees gradually and brilliantly transforming into vibrant hues of yellow, orange, copper and deep crimson red. Autumn in these regions starts late September / early October. There will be a gradual change in the weather conditions too which slowly turns chill and windy. Till September people in the communities walk around on the streets which suddenly get a lone appearance. 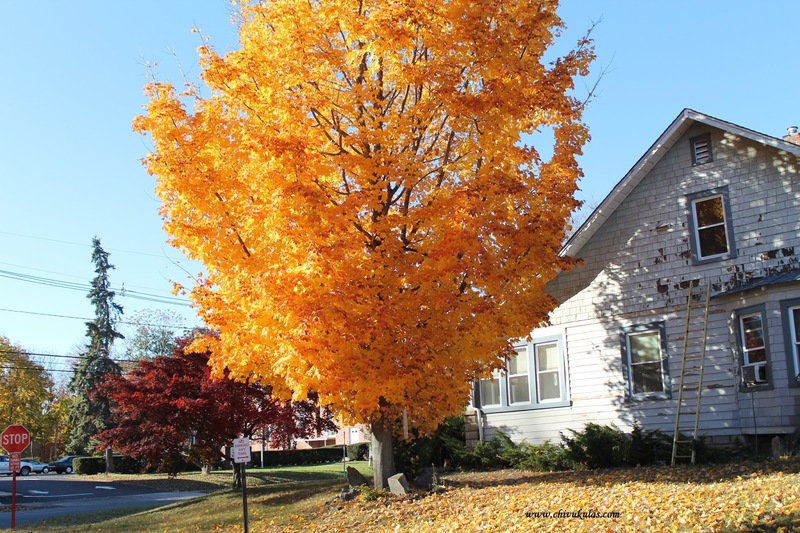 Fall is the time when visitors give lots of work to their cam i.e taking lots of clicks of the beautiful fall foliage. The colorful leaves of the trees all around in yellow, red and brown is a real feast to the eyes. Nature lovers just can't stop themselves admiring the beauty of the nature during this time. Indians that too South Indians don't get a chance to watch such a transformation of colors of the leaves of the trees. So they enjoy seeing the fall foliage the most. 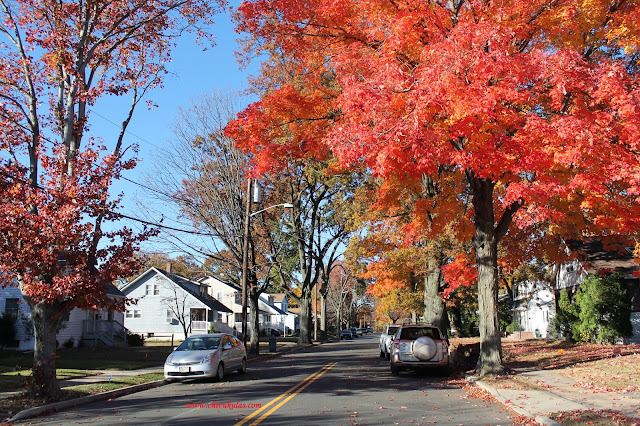 These are the pictures of fall foliage in one of the communities in Piscataway, NJ. 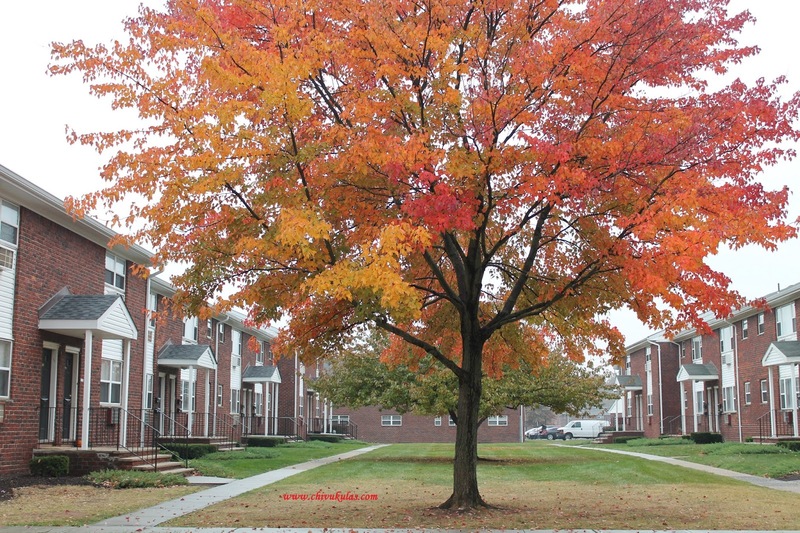 The yellow and red leaves on the same tree add beauty to the tree. It really looks so beautiful that visitors cant' t stop themselves from admiring it the beautiful nature. At times the weather suddenly turns foggy, cloudy or rainy when the roads become wet and give a deserted look. 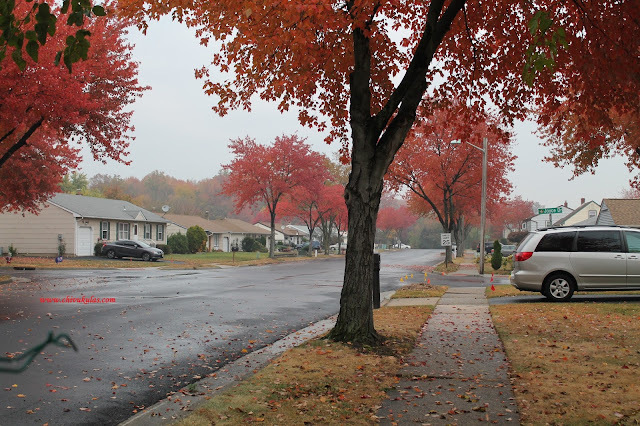 How beautiful the red trees look on a cloudy day! 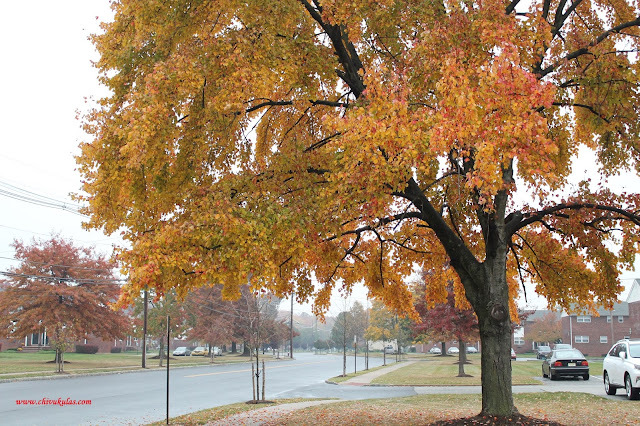 The foggy / cloudy weather with slight drizzle enhances the beauty of the red / yellow trees. At times the weather will be bright and sunny though chill winds blow. So people come out of their homes to enjoy the foliage in sunny weather. 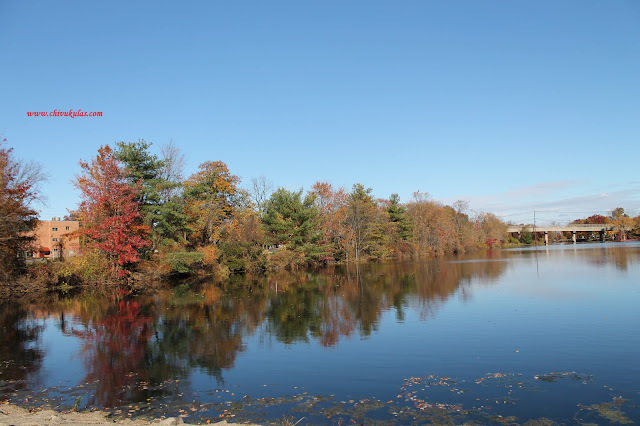 Quibbletown Park on Stelton Rd in Piscataway is a small park that is a serene and lonely place with a small lake. The reflection of green and red trees in the lake is awesome. 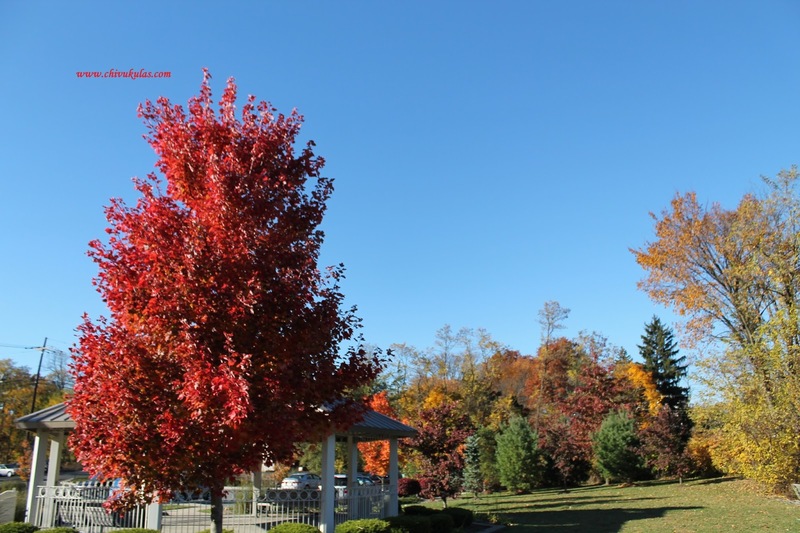 At some places the trees appear crimson red in color while in some places the trees have a ripe yellow look. First time visitors are sure enjoy the wonderful fall foliage at the places in the East and Mid-west U.S.A.